The service shop at North American Switchgear is second to none. Newly built in 2012 the 7000 sqft space allows our highly skilled technicians to efficiently perform recondition, repair, retrofit, rebuild and testing services on equipment from all major manufacturers. 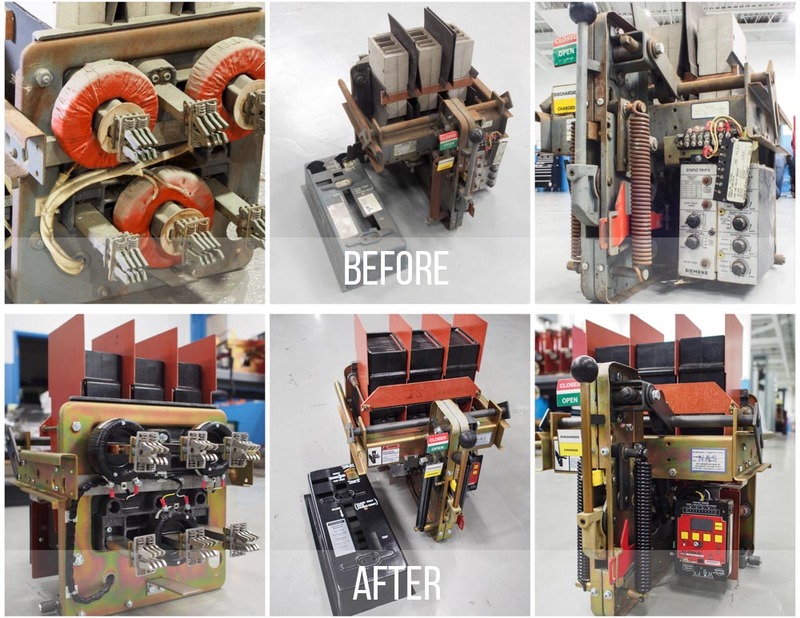 Our capabilities range from testing small molded case circuit breakers all the way up to a full rebuild of 15kV substation equipment. As a member of PEARL (Professional Electrical Apparatus Recyclers League) North American Switchgear adheres to industry reconditioning and testing standards. We offer many levels of service from basic cleaning & testing to full Class A Reconditioning. We often tailor our service work to fit our customer’s needs and budget. Let us know how we can help you! Reconditioning can be as simple as a clean & test or can be a full overhaul of your equipment. Our Class A recondition work includes teardown to the smallest component, recondition of each individual part, rebuild with new lubrication and full testing – complete with a 1 year warranty. Our veteran shop team has over 80 years combined shop experience bringing new life to circuit breakers from all manufacturers. Your 60, 70 or even 80 year old equipment will look and function like the first day it was put into service. Older style trip units (whether thermal magnetic or dashpot style) should be replaced with new solid state technology. 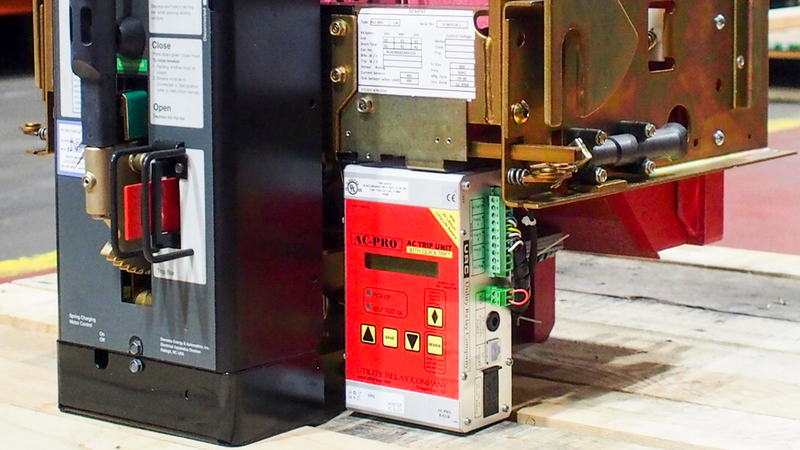 North American Switchgear can retrofit low voltage power circuit breakers with a variety of options including Utility Relay AC-Pro, General Electric MicroVersaTrip PLUS, PM or Entelliguard, Cutler Hammer Digitrip 510/610/710/810 or 910, Carriere or any other solid state kit you would prefer. Not quite sure what is causing your equipment malfunction? We can troubleshoot the issue and recommend service options. Our low cost inspection fee will be credited towards your final bill and work is never performed without your prior consent. Since we have an expansive inventory of replacement parts onsite we can often perform your repairs quickly and without 3rd party mark-ups which reduces your cost and the amount of time your equipment is out of service. If you need to replace leaking GE Magneblast bottles North American Switchgear can re-pot your primary disconnects or supply you with repotted disconnects from our abundant Magneblast replacement part inventory. The repotting process involves removal of the old potting compound, cleaning the bottle, recondition & insulation of the primary copper and repotting with a new epoxy based compound.